The importance of Leopold’s work and our choice to feature it arises not only from his contributions to modern environmental ethics but his profound impact on Wilderness conservation. By helping to establish the Wilderness Society in 1935, Leopold challenged concepts and practices that he himself had propagated earlier in his career, such as federal predator control policy. Today his legacy lives on in many ways, including the transformation of game management policy in the U.S. In 1995 the first grey wolf was returned to Yellowstone park. As the debate continues around the importance of predation within ecosystems, Leopold’s concerns are as valid now as they were in his time. His understanding of interconnected relationships whether interpersonal, societal or with the landscape, he championed a holistic approach beyond conquest and self-interest. Without further ado, we hope you enjoy reading for the first time or revisiting “Thinking Like A Mountain” HERE. 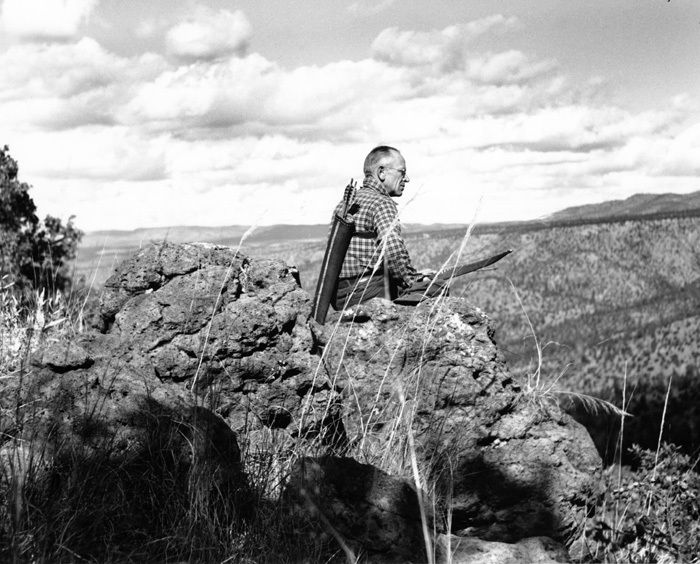 Considered by many as the father of wildlife management and of the United States’ wilderness system, Aldo Leopold was a conservationist, forester, philosopher, educator, writer, and outdoor enthusiast. Born in 1887 and raised in Burlington, Iowa, Aldo Leopold developed an interest in the natural world at an early age, spending hours observing, journaling, and sketching his surroundings. Graduating from the Yale Forest School in 1909, he eagerly pursued a career with the newly established U.S. Forest Service in Arizona and New Mexico. Following a transfer to Madison, Wisconsin in 1924, Leopold continued his investigations into ecology and the philosophy of conservation, and in 1933 published the first textbook in the field of wildlife management. Later that year he accepted a new chair in game management – a first for the University of Wisconsin and the nation. In 1935, he and his family initiated their own ecological restoration experiment on a worn-out farm along the Wisconsin River outside of Baraboo, Wisconsin. Planting thousands of pine trees, restoring prairies, and documenting the ensuing changes in the flora and fauna further informed and inspired Leopold. A prolific writer, authoring articles for professional journals and popular magazines, Leopold conceived of a book geared for general audiences examining humanity’s relationship to the natural world. Unfortunately, just one week after receiving word that his manuscript would be published, Leopold died of a heart attack on April 21, 1948 while fighting a neighbor’s grass fire that threatened the Leopold farm and surrounding properties. A little more than a year after his death Leopold’s collection of essays A Sand County Almanac was published. With over two million copies sold, it is one of the most respected books about the environment ever published, and Leopold has come to be regarded by many as the most influential conservation thinker of the twentieth century. 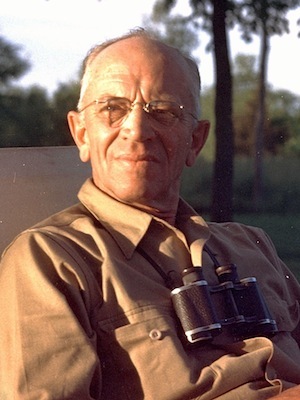 Learn more about his life and work at www.aldoleopold.org.